I had told myself that I wasn’t going to play any of the DLC chapters until they were all released, but I just couldn’t resist playing Episode Prompto. Why? Because I already knew his story, and I knew it was sad and that is what drew me to it. I like when characters have depth to them beyond their initial personalities. Throughout the majority of the main story, Prompto is more or less you’re friendly neighborhood lovable goofball. He makes everyone laugh, keeps their spirits up, takes pictures to chronicle your journey, and very rarely displays an emotion other than joy. Most people probably know a guy or girl like Prompto. But, if you dig deep enough into the side material and pay attention later on in the story, you know there’s more he keeps locked away inside of himself. Episode Prompto addresses the part of his insecurities that weren’t addressed either in the main game or the Brotherhood anime series. And it does a well enough job in a two to three hour time period, but though it probably could have done more as well. Prompto, of course, isn’t the only character that appears in this DLC chapter. He stars alongside Ardyn, Verstael Besithia who makes his big debut, and Aranea who returns from the main story. There isn’t much to be said about Ardyn since he appears briefly from time to time and is, of course, as great as ever, but Verstael was barely present despite being the antagonist of the DLC. Most of what you learn about him is done impersonally through research notes and audio logs. The basic gist is that he’s an evil man obsessed with his work, end of story. Aranea’s return for this DLC was unexpected, but it is very welcome as she was a great character in the main story, as underutilized as she was. And despite losing her very revealing dragoon armor, she’s still quite beautiful, maybe even more so. And that partially brings me to my next point and it’s something that I really like about Final Fantasy XV: Its dedication to adhering to real world temperatures and appropriate clothing. You have some outliers like Cindy who wears a mechanic that most sane mechanics would probably never wear, but most of the time you’ll find that characters dress appropriately for their locales. In this case, the region is covered in snow and Prompto and Aranea have appropriately slipped on winter clothing(Though I haven’t the faintest idea where Prompto got his. ), with the only out of place thing being that Aranea has her jackets zipper down just enough to expose her cleavage and no more. I guess the scarf around her neck balances that out. Moving on to gameplay, Episode Prompto changes the formula up from the previous DLC and even the main game. While he does have a melee weapon, Prompto’s arsenal largely consists of firearms. The pistol automatically locks onto targets and thus rarely ever misses, it also has infinite ammo. However, it’s not particularly strong so you’ll be firing and dodging quite a bit until your enemy falls. However, you can pick up one alternative firearms, be it a submachine gun, marksman rifle, or even a bazooka. That last one is great for taking down the harder to kill magitek soldiers and mechs. Unlike the pistol, these weapons have ammunition and will be discarded upon running out, though you can pick up additional ammo when you find some if you haven’t run out. They also don’t automatically lock on, so you have to manually aim when you’re firing. All in all, I found the gameplay to be entertaining at least, though it does pale in comparison to actual third person shooters. That also goes for the driving. Unlike the main game where you cruise around in a fancy car which is on rails(Unless you now have the monster truck upgrade which allows you to go offroad. ), Prompto gets a nice snowmobile to drive around and this one is free from any rails. It’s also pretty simple to control and I never crashed. You can get upgrades for it by completing side missions. But there lies one of my gripes with this DLC. The DLC has a fairly short main story, but it does have a plethora of side missions for you to pursue. The purpose of these side missions is to get you parts to upgrade your snowmobile. But there are two problems with that: #1. Once you complete a side mission, the next one does not immediately appear. You either have to find it or wait for it to appear, I’m not sure which, and that slows you down and makes you wander aimlessly. And #2) I don’t see the point in subjecting yourself to harder enemies just to upgrade a snowmobile that you don’t actually need anymore. Yes, it gets you places, but once you decide to continue the main story, you don’t go too far and there really isn’t a point to the upgrades. In other words, it’s really just busy work to pad out the playtime of the DLC. The final verdict on this DLC is that it’s good, and at $5 you can’t really complain about it only lasting 2 to 3 hours. 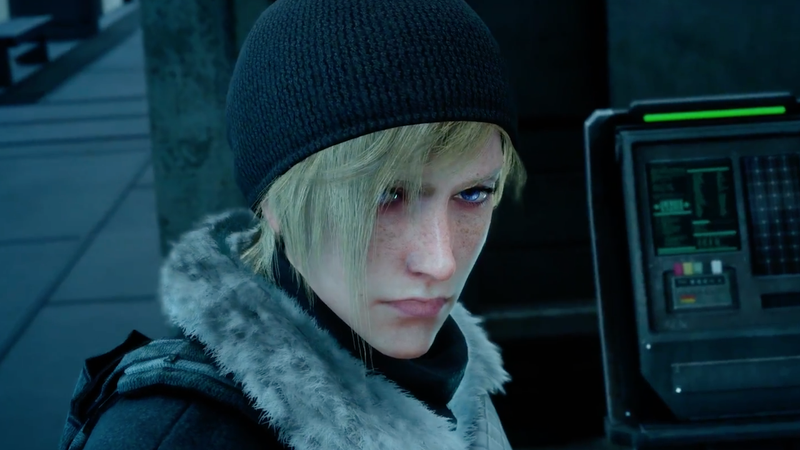 You get what you pay for and the developers did at least a half decent job of fleshing out Prompto’s character. Once you’ve completed the DLC, you’re treated to a teaser for Episode Ignis which releases in December, and it looks a lot darker than I thought it would be. Oh, and the music is pretty good too.